Last year I did a post where I looked at the best British boxers in five weight classes of my choice. The article became very popular and recived a lot of comments and views from fight fans. So I decided to do a similar one but with American fighters. There will be four different posts with two weight classes in each one. Enjoy! 1. Eddie Chambers – ‘Fast’ Eddie Chambers has just recently had his second fight in a row cancelled due to an injury. Last year Chambers was scheduled to fight fellow American Tony Thompson in an IBF world title mandatory fight, but the bout was cancelled. And this year he was scheduled to face the tough Sergio Liakhovich. But broken ribs prevented this from happening. Chambers is looking to get back into training within the next few weeks. 2. Tony Thompson – Due to the opponent (Chambers) dropping out of the mandatory fight, Thompson became Wladimir Klitschko’s official mandatory for his IBF belt. Thompson has already been defeated by Wladimir back in 2007, because of this a lot of fans are disinterested by the match up. 3. Seth Mitchell – Mitchell scored a spectacular knockout over Timor Ibragimov in his first fight on HBO which was the co main event to the Khan/Peterson fight. Boxing fans were impressed by Mitchell’s second round TKO and were left wanting to see more of the American heavyweight hopeful. Mitchell is now likely to fight on the Bernard Hopkins/ Chad Dawson undercard in April. 4. Chris Arreola – Against his two best opponents Vitali Klitschko and Tomasz Adamek, Arreola lost both fights. Against Vitali he was dominated then stopped in the 10th round. Against Adamek it was close, but a clear win for Adamek. Seth Mitchell, who has been a pro for five years less than Arreola, and has had eleven less fights, arguably has a better career win than Arreola whose best wins are Travis Walker and Jameel McCline. Arreola looks likely to have another title shot against Wladimir Klitschko in America. Bernard Hopkins – The legendary American boxer known as ‘BHOP’ has spent the past couple of months in rehab recovering from a shoulder injury that occurred in the second round of his brief encounter with Chad Dawson. As long as he keeps winning Hopkins will retain his number one position in the light heavyweight division. Hopkins is scheduled to fight Chad Dawson in a rematch and a sixth career loss may force retirement upon him. Chad Dawson – Even though he doesn’t currently hold a major belt at light heavy, Dawson is without a doubt one of the most talented boxers in the division. If not the most talented. Dawson set the pace and was looking good in the one and a half rounds of his fight with Hopkins until the incident. Dawson has got what he wanted and that is a rematch with Bernard Hopkins which will take place in April. 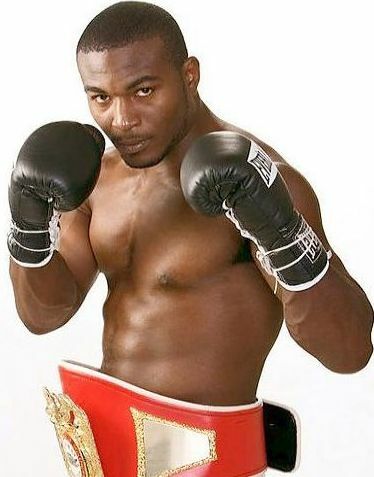 Tarvoris Cloud – IBF world champion and now Don Kings best fighter Tarvoris Cloud is the least active fighter on the list. With only one fight in 2011 Cloud needs to keep more active to become more known in America. Cloud recently fought Gabriel Campillo and earned a split decision victory in a thoroughly entertaining fight. However most people believe the decision should have been unanimous in favour of Campillo and this has somewhat tarnished Clouds reputation. Yusef Mack – America’s fourth best Light Heavyweight is Tarvoris Cloud victim Yusef Mack. Mack was competitive in his fight with Cloud but was stopped in the 8th round. Mack’s other big fight was against Glen Johnson which took place before the Mack/Cloud fight and was a title eliminator for Cloud’s IBF belt. Johnson stopped Mack in the 6th round and then lost to Cloud. Mack should work his way up to a mandatory position for one of the weaker belt holders in the division. Cornelius White – White fought on the super six final undercard against Yordanis Despaign in a very entertaining fight which saw White outwork and out gut the bookies favourite Despaign to a well-earned victory. With this performance White has made a name for himself in the 175 pound division and a title eliminator fight between him and Enzo Maccarinelli would be a fight of the year candidate and would guarantee one man’s lips to be kissing the canvas during and after the fight. Thats post one. Look out for post two it will feature the American super middleweights and middleweights. As always, let me know what you think.